Hello Guys in this Tutorial I will tech you How to take long screenshot on any android without root. 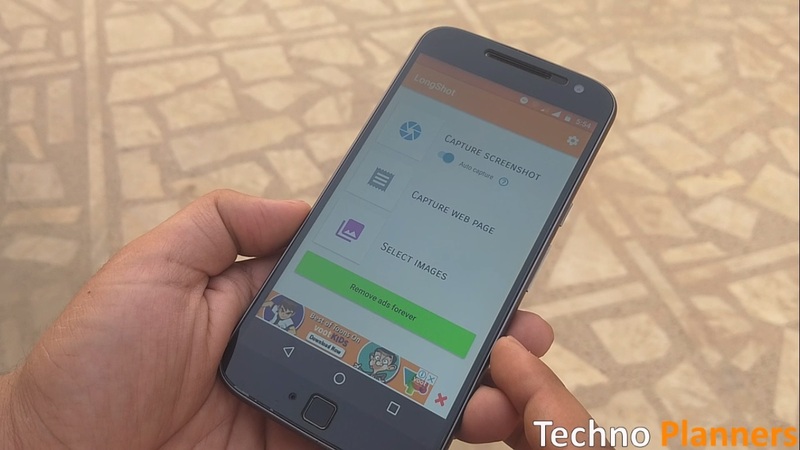 Yes Now you can take long screenshot on Android device like Xiaomi phone. Xiaomi first introduces long screenshot features in MIUI and there are lots of developers who make this type application for others smartphone users. How to take Long Screenshot on any Android? You will see that LongShot App has three basic functions first is capturing a screenshot, Second is capturing web page and the third is selecting already taken screenshots to stitch them in a single file. When you tap on the “Capture Screenshot” button, A start button will be shown on your Display. Now Run the app which you want to take screenshot of and then hit on start button when you are ready. Scroll the page slowly till the point you want to take screenshot of. When you are done, hit the done button. After pressing the done button, you will be automatically taken back to the app, Just hit the join button and the app will join the individual screenshots into one. Just Save it and you are done. Once the point set tap on the capture button and wait for a few seconds. The app will automatically take the screenshot of the whole website. Now you can enjoy MIUI on your Android device. So that is it for this article. Please share this post as much as you can. Like us on Facebook, Follow us on twitter for more upcoming tutorials.